Can Lupus Be a Cause of Stroke? Systemic lupus erythematosus, commonly known as lupus, is a disease that causes the body's immune system to malfunction, producing antibodies against the body’s own tissues. These antibodies can cause damage to multiple organs leading to symptoms which vary widely and include fatigue, skin rashes, joint pains, arthritis, and seizures, and even stroke. Lupus patients are more likely to suffer a stroke than people without lupus. In fact, some people with lupus suffer from recurrent strokes, especially if they also have high blood pressure. How Does Lupus Cause Stroke? By triggering the formation of blood clots: One of the many abnormal antibodies produced by the immune system of lupus patients is the antiphospholipid antibody. This antibody is known to attack the membranes of cells that line the inside of blood vessels. 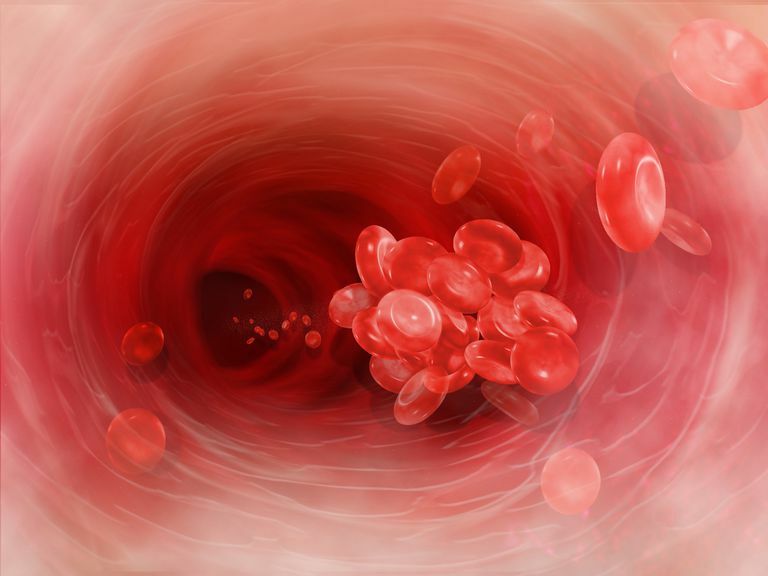 The attack causes a "biological cascade" which initiates the formation of blood clots. This can happen in different parts of the body, including the deep veins of the legs, the chambers of the heart, and the large veins of the head. In some cases, these blood clots have the potential to travel to the brain and cause embolic strokes.​Other antibodies seen in lupus which have been associated with the abnormal formation of blood clots include lupus anticoagulant and anticardiolipin antibodies. By inducing the formation of small deposits of immune products inside the heart: A collection of immune deposits can be found inside the hearts of a fraction of lupus patients. These immune deposits can be thought of as small pellets of antibodies, and immune cells mixed with minerals, proteins, and other products of the immune system. The immune system is reacting against the body’s own tissues. This condition, referred to as Liebman Sacks endocarditis, can cause strokes when these small pellets travel from the heart to the brain. By causing inflammation inside the walls of blood vessels: This condition, known as vasculitis, can be seen in many patients with lupus. At times, the inflammation in the blood vessels is so severe that blood flow through the inflamed vessel is completely prevented. This is particularly dangerous when it happens to the blood vessels in the brain, and it can lead to stroke. Katrin L. Conen, Christina Jeanneret, Burkhard Hecker, Gieri Cathomas, Barbara C. Biedermann Acute Occlusive Large Vessel Disease Leading to Fatal Stroke in a Patient With Systemic Lupus Erythematosus: Arteritis or Atherosclerosis?Arthritis & Rheumatism 2006, Volume 54, 908-913. Kushner M, Simonian N; Lupus Anticoagulants, Anticardiolipin Antibodies, and Cerebral Ischemia. Stroke1989;20: 225-229. Y Kitagawa, F Gotoh, A Koto and H Okayasu; Stroke in Systemic Lupus Erythematosus Stroke 1990;21;1533-1539.